A small plover and her egg-laden nest are holding hostage the national capital’s biggest music festival. 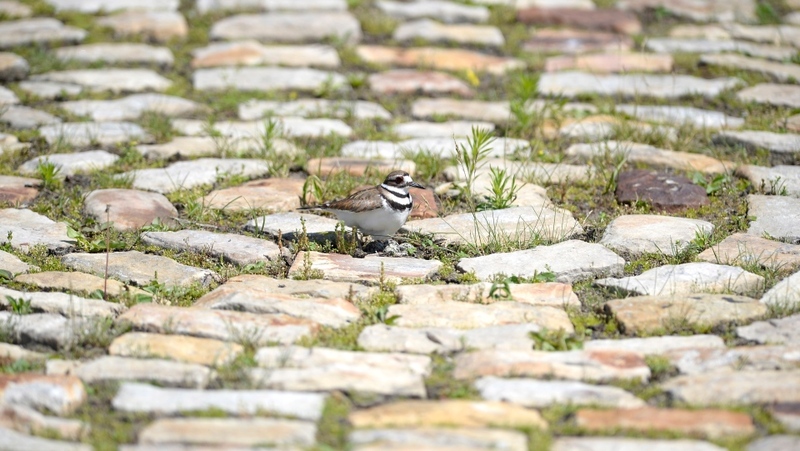 Workers came across the killdeer and its nest just as they were preparing to set up one of the main stages at Ottawa’s 11-day Bluesfest event, which takes place in front of the Canadian War Museum. Eggs generally take between 24 and 26 days to hatch and it is unusual for them not to hatch by mid-June. But the organizers of the music festival have no control over the situation. If the eggs don’t hatch by end of day, the festival’s executive director says setup work on the stages will be thrown off and will have to be rejigged to make sure everything is ready for the festival’s scheduled start July 5. “Anything that disrupts the schedule has a major effect, so we’re taking it very seriously, we are working with our partners to try and resolve it and we hope to get a resolution within the next 24 hours,” Mark Monahan told reporters a few steps from the nesting site. He said organizers are also waiting on word from federal officials about whether they may be able to move the bird in the event the eggs don’t hatch by day’s end. The festival has identified spots for a relocated nest about 50 metres away from the main stage area that could isolated and protected. The nest would be away from the hundreds of thousands of music fans who will stomp through the festival to see the likes of Shawn Mendes, Bryan Adams, Foo Fighters and the Dave Matthews Band, among a host of other acts. “Somehow, trying to move the eggs from where they are right now — that’s really the critical part for us. There are other locations we can move them to,” Monahan said. Killdeer young are able to fly away soon after they are hatched. In the meantime, organizers are keeping yellow caution tape in place around the nest site and the National Capital Commission is paying for 24-hour security on ground overseen by the federal agency.